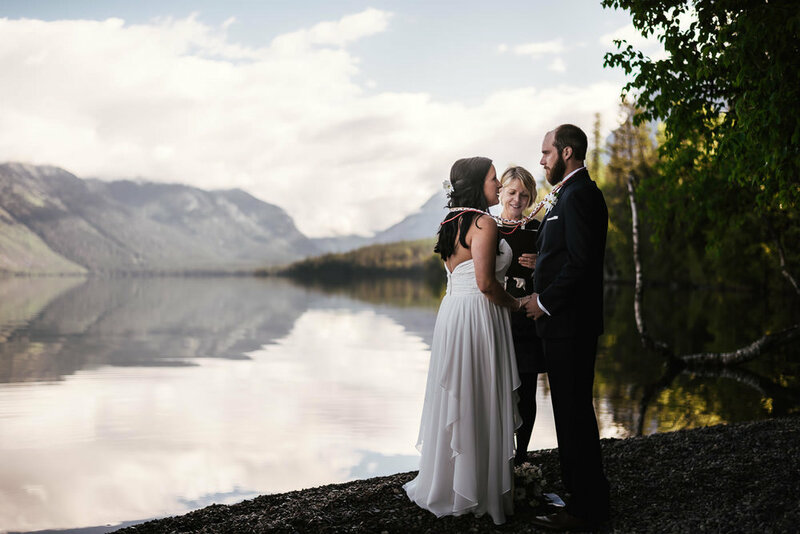 As wild as it is beautiful, Glacier National Park is the ideal destination for weddings and elopements in Montana. 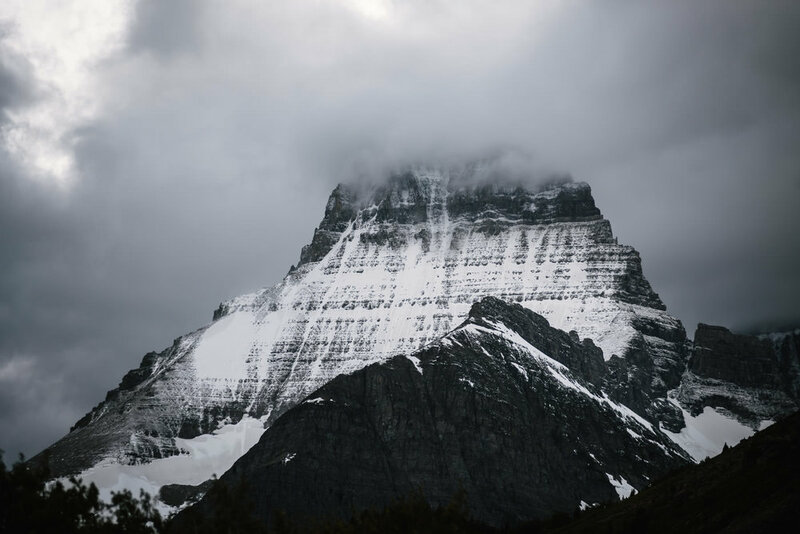 Adventurous souls looking to tie the knot off the beaten path will find their perfect setting in the jagged, snow capped peaks of Many Glacier, or the crystal clear waters of Lake McDonald, or perhaps the old growth forest along the Trail of Cedars. Each beckoning to be the backdrop for this next grand chapter in your love story. Come, let's be adventurous. 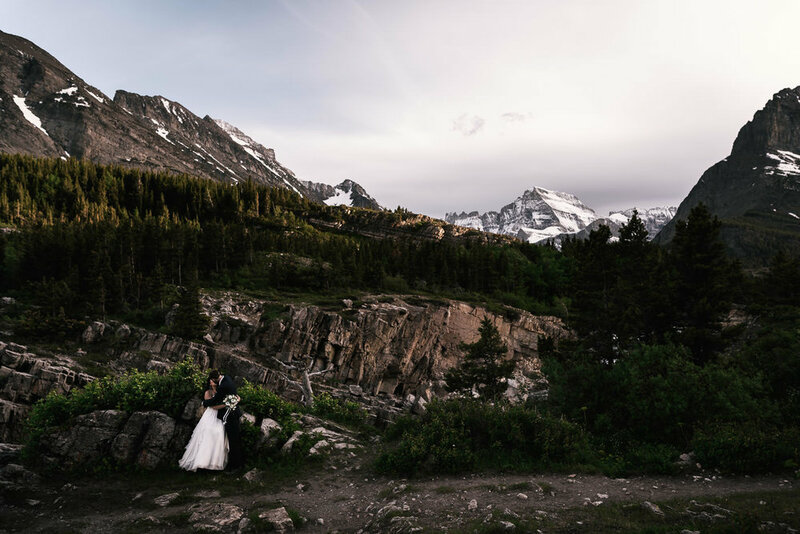 I simply can't get enough of photographing weddings in the stunning landscapes Glacier provides, so I'm offering 10% off elopements and destination wedding packages in Glacier National Park, Montana. Whether you're planning a wedding near the park, or an elopement out in the wilderness, you'll find an all day wedding photography package perfect for your love story below. Take me on your adventure, and we'll create something truly spectacular. Since Glacier offers such awe inspiring scenery, why not see it all? My Glacier elopement photography package includes full day coverage so from sunrise to sunset we can explore the park and creating unforgettable memories, and photographs you can treasure forever. I do not place limits on the number of images I deliver. All your photo will also be individually edited to look their very best. Once their ready the full resolution images will be sent to you via USB drive. In addition to the USB you’ll get a link to your password protected web gallery, perfect for viewing your images and sharing with loved ones. There you’ll also have the option of ordering everything from standard size prints to giant metal prints, all from my personal favorite print lab. I’ll create a little montage of your grand adventure through Glacier National Park. Have a favorite gallery of your own? No problem. Print your favorite photos at the photolab of your choice and share them with everyone. Lovebirds having weddings at venues in or near Glacier, this is for you. Be it at the Great Northern Resort or the Lodge at Whitefish Lake, you'll find me there from the getting ready shots to the grand exit at your reception, capturing every beautiful moment and creating timeless photos. And since you have all day coverage, we can venture into the park to create romantic portraits you'll never forget. I highly recommend Sally over at Mary Me in Montana. You won't find a kinder, or more professional officiant in all of Montana. Check out her wedding and elopement services! I'm Norm Roberts the Fifth, an artist and outdoorsmen who for more than a decade has spent his life perfecting the art of light. Glacier National Park is easily one of the most beautiful landscapes on Earth. I could spend an eternity exploring this wilderness and never grow old of its' majestic views. It's truly ideal landscape that makes for absolutely wild, and romantic wedding images. Creating here is a dream come true. You'll find me happily driving the winding Going to the Sun road, wading through Lake McDonald, trekking up to Iceberg Lake, or climbing the mossy boulders to find the perfect angle for the shots we envisioned. This is your grand adventure in love, it deserves nothing less. And believe it to be the only place your adventurous heats should say "I do", then you need look no further for your wedding or elopement photographer. With more than nine years experience photographing weddings you can rest assured you'll have the best wedding photos possible. Let's go have an adventure under that big Montana sky and create something truly epic together. HAVE A QUESTION? READY TO BOOK? SEND ME A MESSAGE AND I'LL GET BACK TO YOU RIGHT AWAY.